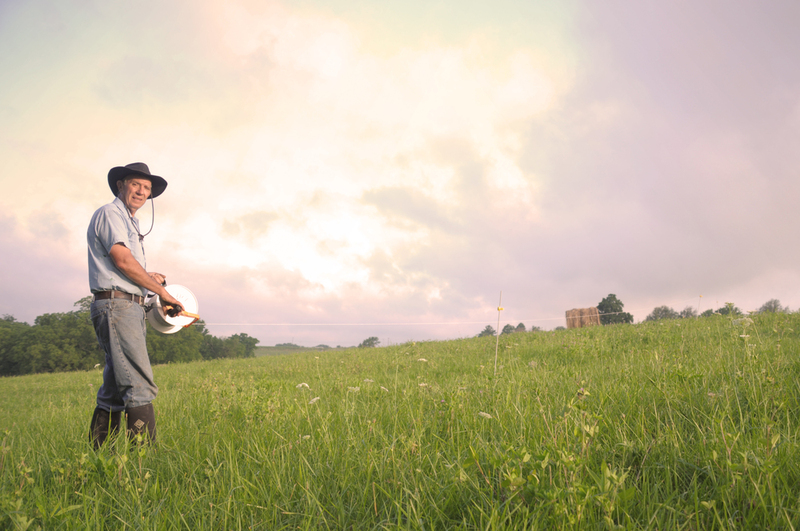 We raise our cattle on open pastures as nature intended. Cattle were not designed to eat grain. To accomplish this we only use organic certified inputs to build richer soil, stimulate humus production, promote biological activity and supply trace mineral elements. All components that promote healthy animals, and beef that is healthy for you. Rock'n R Farms was established in 2003 when we decided to move out of the city to a larger farm. We had the dream of growing our own food and living off the land just as nature had intended. We purchased a 113 acre farm in Henry County, Kentucky. Rock’n R Farms is comprised of approximately 70 acres of lush pasture surrounded by a nice balance of woods. The acreage use to be an active dairy farm back in the 60s and 70s. We found that the soil had been pretty well depleted and needed a lot of input to bring it back. We've spent years regenerating the health of the soil and building fencing and infrastructure for our grass fed herd. In 2005 we built a home and moved the whole family permanently. To produce a healthy and sustainable product. ROTATIONAL GRAZING: This is a practice of moving grazing livestock between pastures on a 1-2 daily basis. Our heard grazes on one portion of the pasture at a time, while allowing the others to recover. This gives the land the love it deserves. 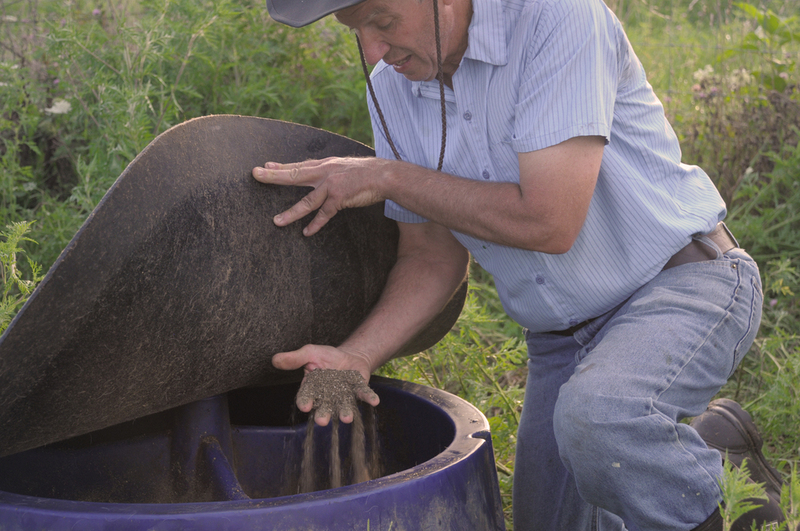 It improves soil fertility, plus makes for happy, stress-free cows. SP-1: For our soil. Our SP1 is a blend formulated to supply the greatest diversity of bacteria, fungi, algae, enzymes, carbon substrates, vitamins and minerals to support the growth of microbial life. Our SP1 meets National Organic Program requirements for organic production and never contains GMOs. BLUE N 5-1-1: This Fertile soil conditioner is a well balance plant food. It builds richer soil, stimulates humus production, promotes biological activity and supplies trace elements. NORTH ATLANTIC SEA KELP: Given to our cows, sea kelp is a naturally balanced and chelated source of trace minerals containing a broad range of essential nutrients necessary for animal nutrition. Sea kelp works as a natural meat tenderizer as well as adding delicious flavor. 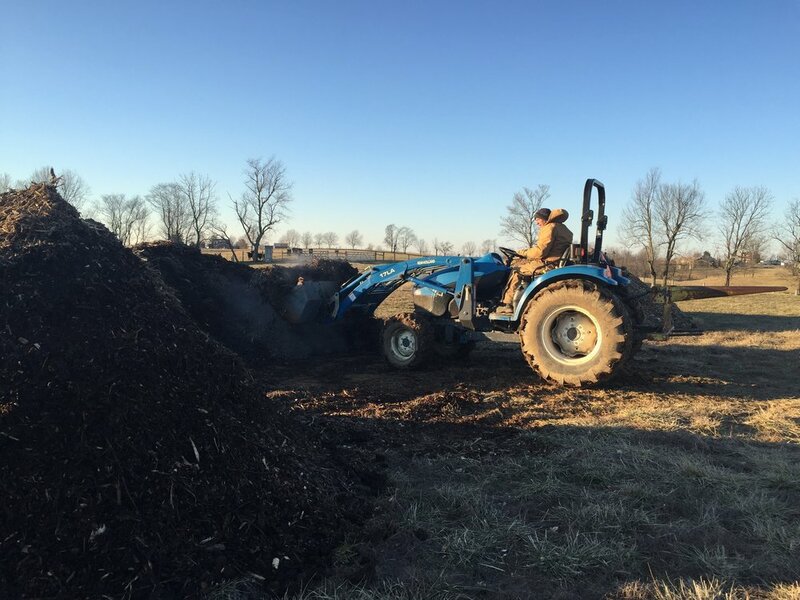 STATIC PILE COMPOSTING: Taking tree trimming chips, leaves and mixing them with high nitrogen manure. 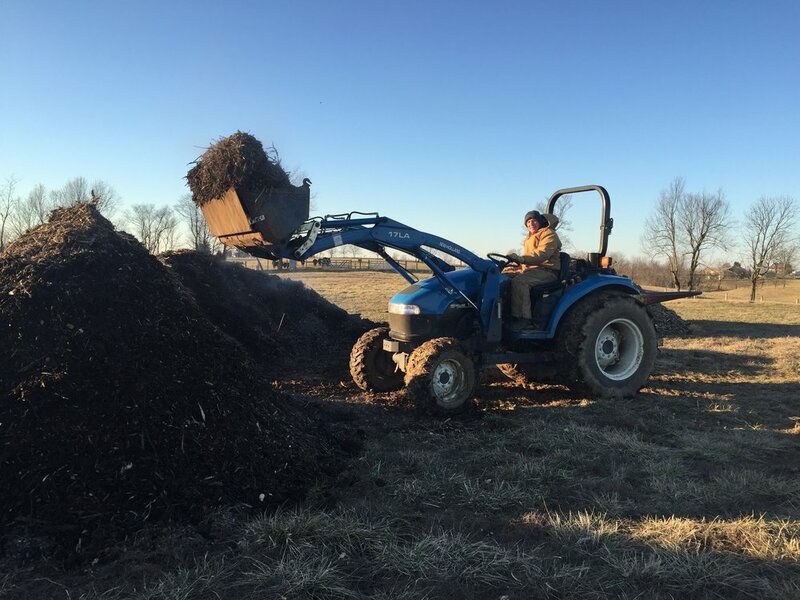 Then composting it in piles, while turning it periodically for about six months. It is then spread on the pastures to feed the forage naturally. The microbes in the compost help build soil, humus and encourages more earthworms which all adds to healthy soil. With healthy soil you provide the healthy forage that produces the finest grass finished beef.